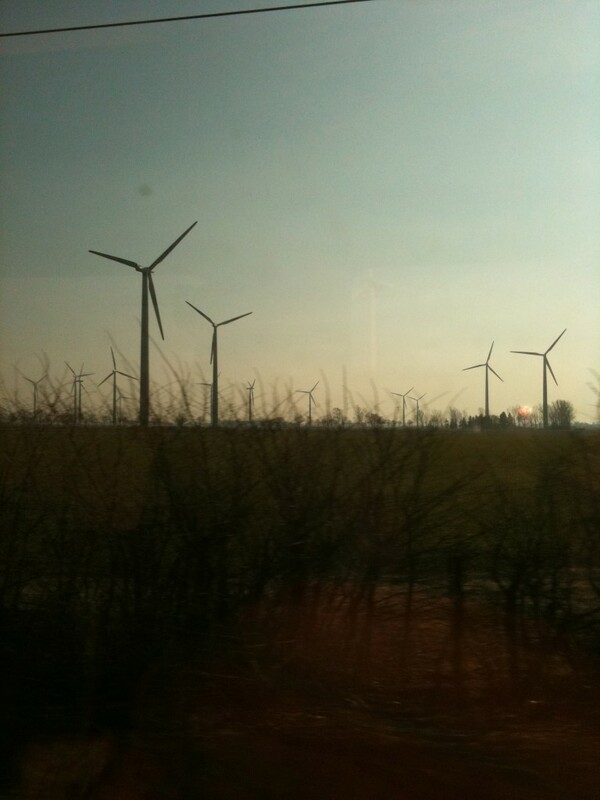 Wind farm from the train. Whoever called Australia New Holland was right on the money – apart from the flat, wet thing. We spent the day on the train covering the 600km from Berlin to Amsterdam. The countryside was its usual interesting self with a nice range of vistas, different houses, factories and other interesting things to keep the traveller engaged. We were particularly taken with an enormous windfarm we passed about an hour out of Berlin. Of course things get really interesting as you pass into Holland. It’s remarkable how quickly the countryside flattens out and becomes riddled with lakes, canals, ditches and other myriad other bodies of water. Everywhere you look there’s water all carefully contained and controlled. And it’s so flat. I remember reading a long time ago about how Flemish painters in the 16th century painted mountains really strangely because they had never even seen a hill. The Dutch countryside doesn’t even have a hint of contour in it; the view to the horizon is broken only by trees – much like some parts of Australia I suppose. I used to work for an Anglo-Dutch company and so came in contact with a lot of people from the Netherlands. It has always struck me how similar the Dutch are to Australians. There’s a certain laid-back, just get on with things attitude. There’s a sense of not taking themselves too seriously. And there’s the way they dress and look. 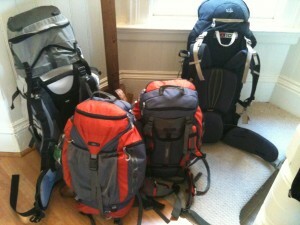 I was hit by the similarity again as we moved from Germany to the Netherlands and locals started getting on the train. The women wear less makeup than in Germany, clothes are similar to Australians’ (less studiously cool than in Germany), haircuts look roughly the same. Oh and, as became clear on our arrival in Amsterdam, having an expensive and not terribly good public transport system – we have that in common too. 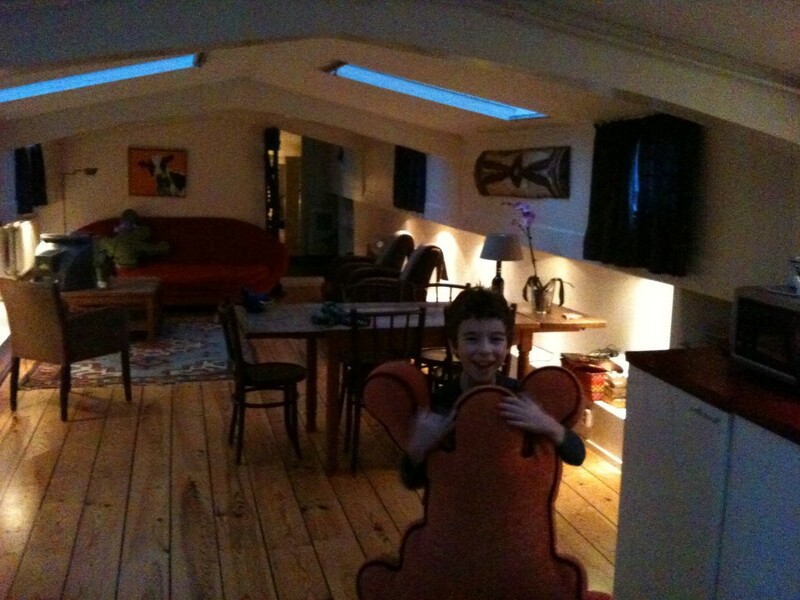 And now we’re settled in Amsterdam the exciting news is that we’re staying in a houseboat on a canal. 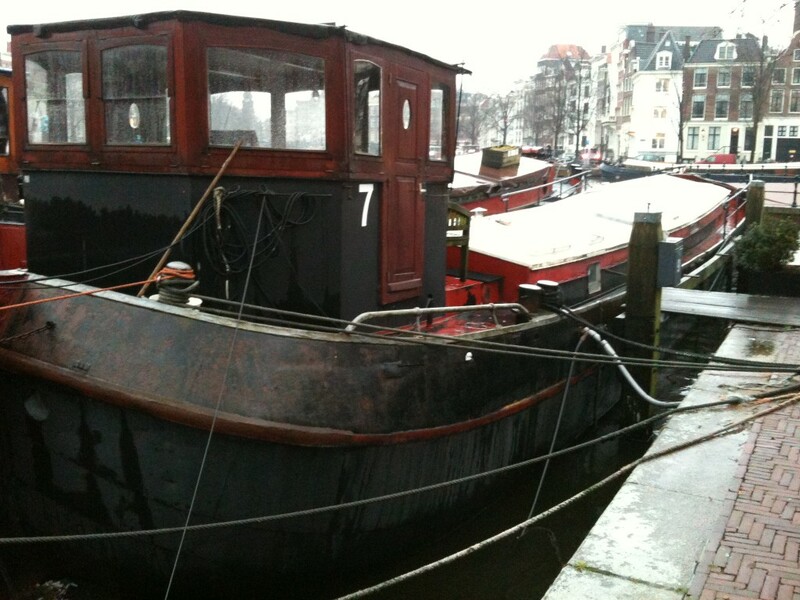 An actual, real, live canalboat. I’m quite thrilled by this; having walked past them enviously on other trips, we’re staying in one now. Once you’re inside it it’s not much different to a long apartment, but it’s cool being on a canal and knowing we’re in a house boat. Luckily it is plumbed in to the city utilities and lined so it’s not as cold as it might be. Strangely, even though it is rock-solid on a flat canal I do have a strange sense of it swaying. And, I just this moment realised as the kids are now in bed, in quiet moments you can hear the water lapping at the sides. So cool. Of course we Australians settled right in to this traditional Dutch way of living. It’s just like home – apart from the flat wet thing.